This #FiveForFriday Morning Minute News Round Up is for the week of March 25 through March 29, 2019. 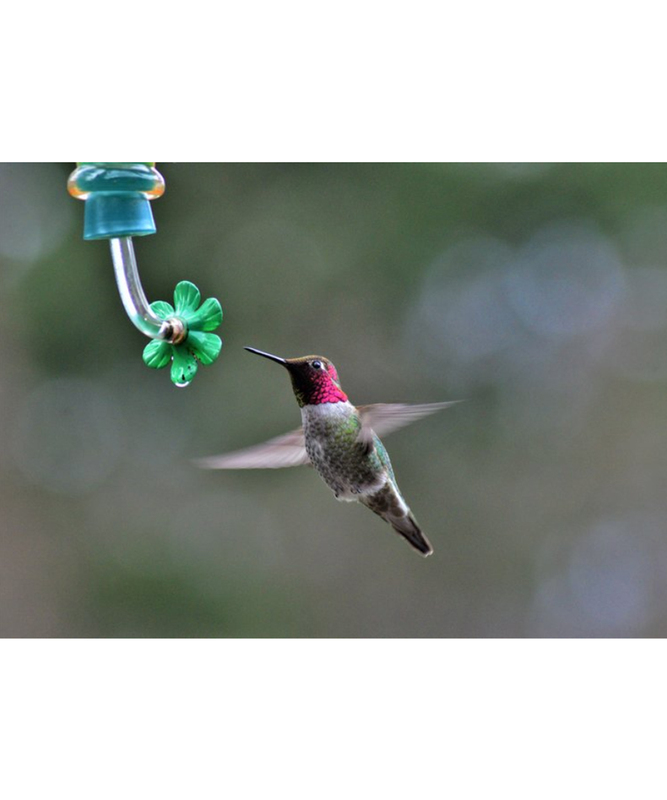 News Around Town: The ruby-throated hummingbirds are heading through the area, if not now, at least in the near future. April is really when they arrive en masse, but a few early birds are here to get the nectar. If you make your own, mix 1 part sugar to 4 parts boiling water, let cool and fill your feeders. As the weather warms and babies hatch, the newborn hummingbirds depend on insects for protein. Make sure you’re not spraying your yard and depleting their food source. News About Town: There was no reason to doubt the Board would approve the addition of a new K9 to the Police Department, but we’re here to make sure you’re left with zero doubt whatsoever. 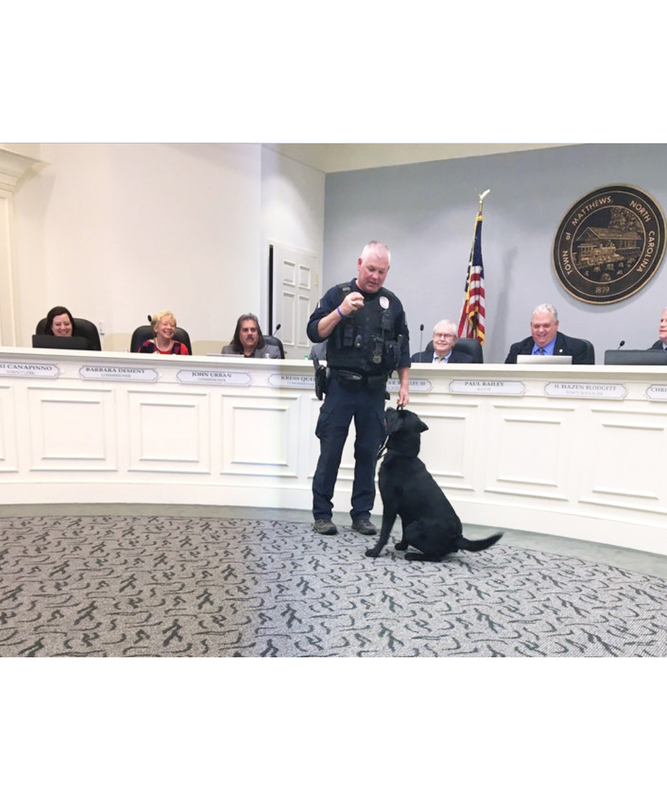 With approval byt the Board of Commissioners, Matthews PD officially welcomes Benny, a 15-month old black lab. He is a single-purpose pup (sniffing out illegal drugs), passed his certification, and has been in action with 2 arrests under his belt! 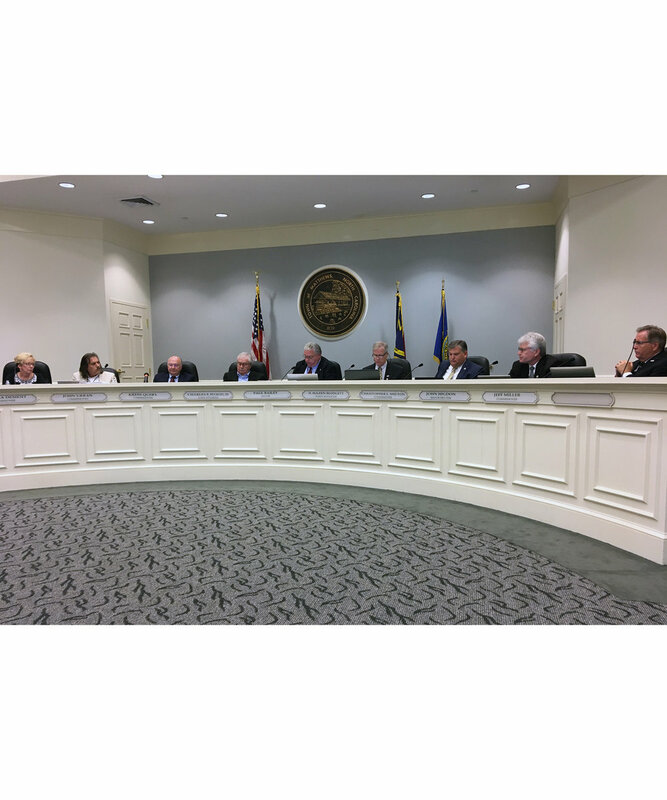 News About Town: At Monday’s Board of Commissioners meeting the board voted on facade grants for two early-twentieth-century properties on West John Street. The owner of the first property, 455 West John St., requested $2,500 toward a total exterior painting cost of $7,860. Other improvements include architectural work for an ADA compliant entry, which will be designed by Commissioner John Urban (Urban recused himself from the facade grant vote). The property owner of 501 West John Street requested $2,500 which will be used for replacement of damaged siding and repainting of the exterior. •Consider increasing required canopy percentage in certain districts. 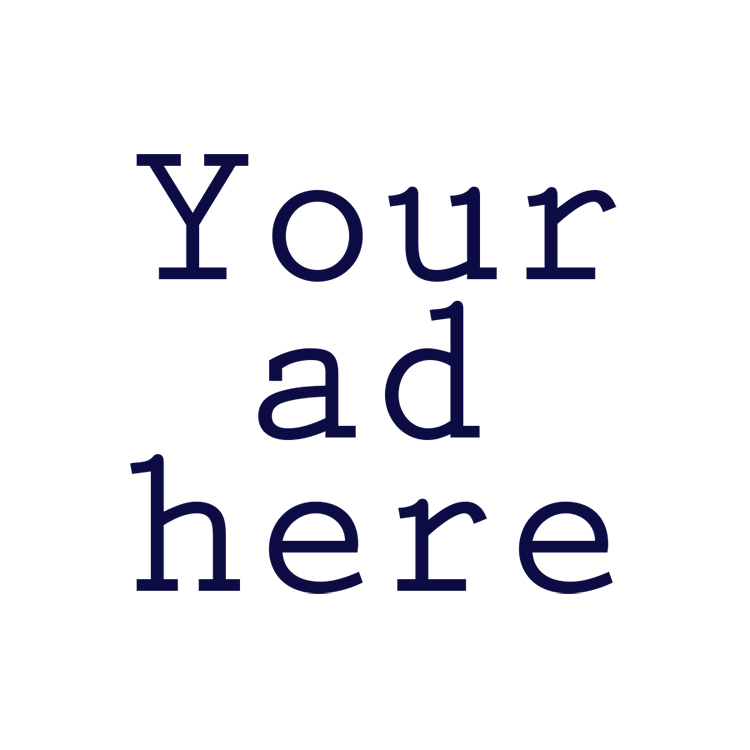 •Commit to using allocated landscape funds to plant/maintain a set amount of trees on town-owned properties and rights-of-way.